I think we can all agree in wishing that fall lasted just a little bit longer than it does. Why? Because who doesn’t love pumpkins, apple cider, changing leaves, and campfires? Although autumn means the end of summer, it also means the start of something new. For some it means the start of school, for others the nearness of winter. But for us autumn means bold color, leafy texture, and creativity. At Lynde we want to make color last through the season. 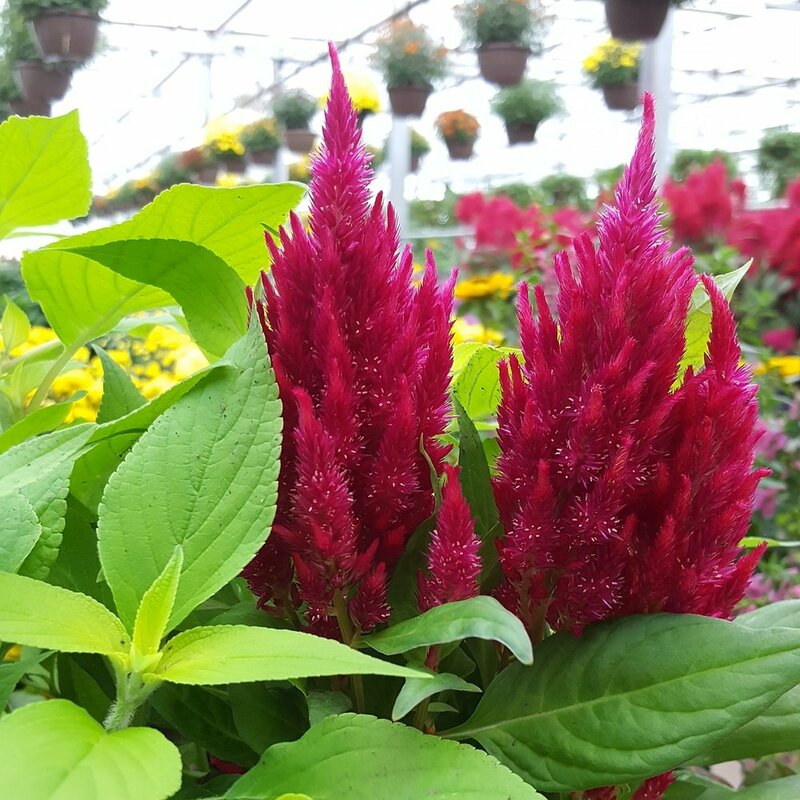 The blooms on a Celosia have been described as soft and feathery like a paint brush. Coming in red, gold, orange, and yellow they provide bold color and are a great thriller to any combination. The blooms emerge from bright green foliage. The Celosia is a great way to add texture, height, and color all at once. Grass can add texture and beautiful brown tones to a fall combination. This grass is further enhanced when paired with orange, gold, and burgundy flowers. Its wispy nature creates wonderful movement. The Toffee Twist Grass is a great way to add a whimsical, rich texture drawing the eye closer. The Garden Mum is the ultimate fall choice of flowers. With their mounding nature and bold overall color, the mum is a great cool weather plant. Coming in warm colors like tangerine, gold, burgundy, and plum they make amazing fillers for a fall combination. The Garden Mum offers a fullness that other plants can’t. Flowering Kale offers large, flowing foliage with white or purple centers. This leafy foliage provides texture and is one of the most cool weather-resistant plants for fall. Most Flowering Kale can withstand the first frost, which enhances its color. Add Flowering Kale to your next fall combination to provide filler and green foliage. 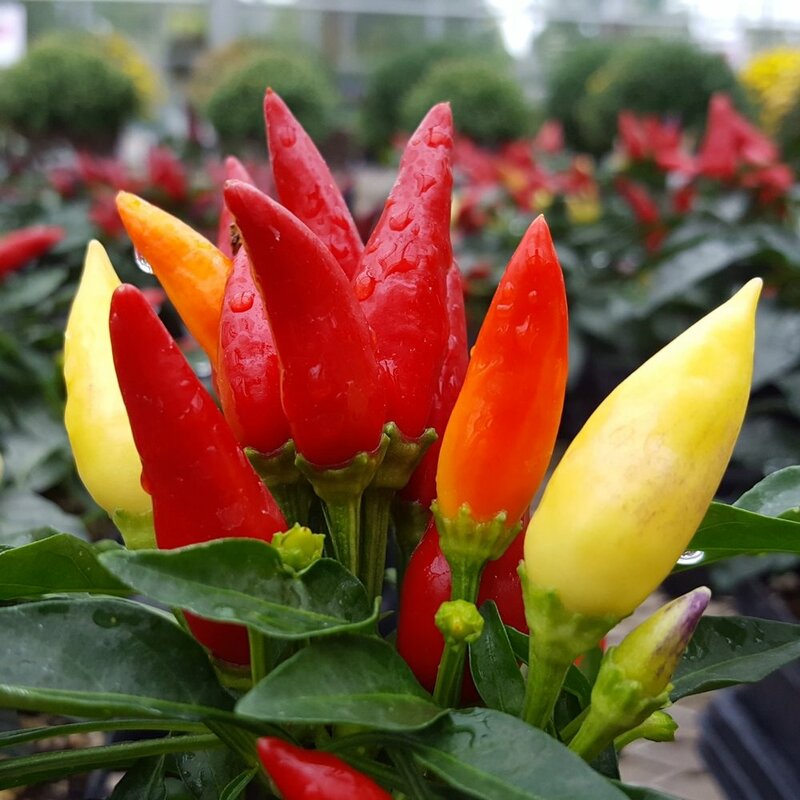 The Ornamental Pepper is a great addition to any fall combination. Different varieties come in reds and yellows, oranges and yellows, and reds and purples. They can add a little fire to a fall combination in need of a little flair of color. Peppers grow to about medium height offering a filler of crisp green foliage and shades of warm fall color. We now have a selection of pumpkins, gourds, and straw bales. Warm up your home with everything autumn at Lynde.